Fall deck maintenance will save you money down the line! The fall is coming and that means that winter is also quickly coming our way. Now, winter is one of the harshest months for decks because of all the snow and cold. This makes fall one of the most important times for deck maintenance. 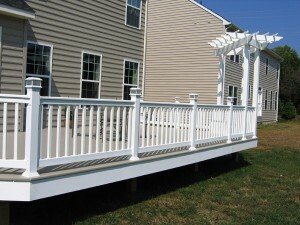 After all, preventative maintenance is going to be excellent for the life of your deck. We want your deck to last as long as it can, so make sure to follow these easy maintenance tips before winter hits. I may feel early, but October will be here before you know it. Are you ready to learn more about fall deck maintenance? Well, let’s get started. Fall Deck Maintenance will prepare your deck for winter. 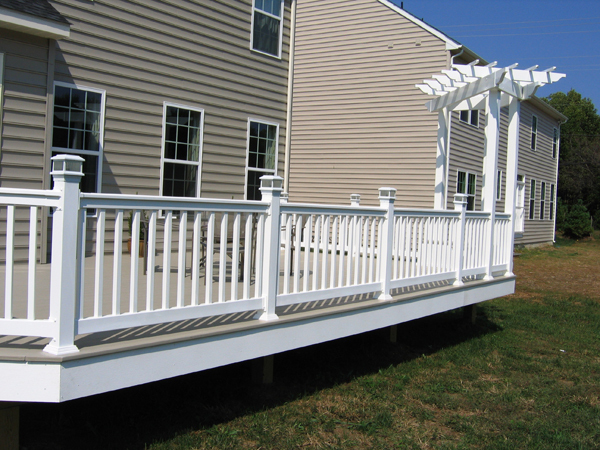 Winter is coming and all that snow can wreak havoc on your wooden deck. To prepare for winter, you should make sure that your deck has been properly washed, stained, and sealed. Sealing your wood will help to ensure that moisture doesn’t ruin it. Now, you should pay special attention to cleaning your deck when the leaves start falling. These leaves can cause big issues for your deck down the line. Make sure you go in between the boards and remove anything that might be building up there. Mold can grow on or in your deck, but if you stay vigilant, then you can keep it at bay. A quick pressure wash can help with this, but be careful. Pressure washing without caution can lead to gauges in the wood, so call a professional if you’re not feeling confident. Fall deck maintenance will help keep your deck strong and healthy. Before the cold hits, you should check your deck for loose nails and bolts. Hammer the nails back in place and replace any boards that you are worried about. Don’t let winter get the best of you. Prepare your deck and you won’t have to worry. Are you ready to invest in the wonders of wooden decking? We can help!